Pilgrimage is a thoughtful novel that challenges its audience to think beyond religious hatred. 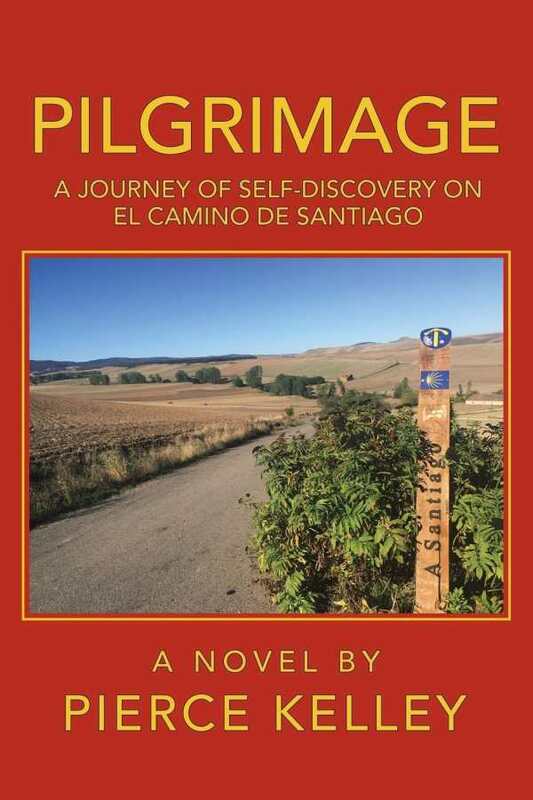 It’s a long, peaceful journey of self-discovery on Spain’s famed El Camino de Santiago in Pilgrimage, the latest installment of Pierce Kelley’s five-book series focusing on a young Egyptian Coptic Christian, Mekhaeil Zacharias, who is the lone survivor of a terrorist attack by ISIS. Kelley told the story of the event that spared Mekhaeil in Massacre at Sirte, took the teen to India to hide in Hunted, then gave him a taste of Western culture in Hiding in America. Now the author offers him a walking adventure filled with soul searching, absent the danger of the earlier books—time to truly take a breath and figure out what he believes, as advised by his friend Father Bishoy. The most significant hazard he faces is the blisters on his feet. Only a few months have passed since the incident with ISIS. But step by step, Mekhaeil walks a path followed by many other pilgrims: the “way of St. James,” named for Jesus’s disciple and the revered location of his bones. For weeks Mekhaeil travels, staying in hostels and talking with anyone he meets about their own beliefs, country, faith, and culture. Rich in local color and detail drawn from the author’s own walk on El Camino, Pilgrimage asks: Why do people kill others in the name of religion? Mekhaeil is on a mission to discover what he believes; he limps along by design. Despite his teenage idealism, he is a skeptic through much of the journey, particularly about the miracles he hears of from people in Spain. His skepticism dismays him. Gently imparted is the notion that everyone must decide for themselves what to believe about God and humanity, and that’s not always easy to do. Things get more interesting when Mekhaeil encounters Roberto, an agnostic. Roberto offers the obligatory explanation of the differences between agnosticism and atheism, but more than that, he punctuates the novel’s faith-versus-proof theme. Questions include whether you can believe that Jesus was God without seeing proof (Roberto can’t). In Roberto and Mekhaeil’s interactions, it’s sometimes unclear just who is challenging whom. Mekhaeil’s friend Hiram sums it all up: “If you live to be a hundred … I doubt you will ever find answers to the questions you are asking … We cannot know who God is or how all of this came to be … yet we believe.” The story can be read as lessons in faith, but it never insults its audience. If you want to learn about religions, the opening is here; if you want to argue about them, there are options for that, too.